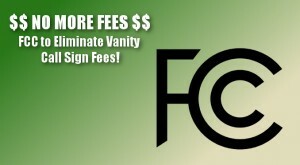 The FCC has found that it costs the agency more to process the regulatory fees for amateur radio vanity call signs and other services such as GMRS than the fees themselves cover. Rather than increasing the rate, the FCC has decided to eliminate them altogether. This change will not go into effect until the required congressional notice has been given, which typically takes at least 90 days. Any fees paid prior to the institution of the change will not be refunded. This is great news and a welcome change from the tedious fee recovery process that has been normal. The FCC is eliminating the regulatory fee to apply for an Amateur Radio vanity call sign. The change will not go into effect, however, until required congressional notice has been given. This will take at least 90 days. As the Commission explained in a Notice of Proposed Rulemaking, Report and Order, and Order (MD Docket 14-92 and others), released May 21, it’s a matter of simple economics. “The Commission spends more resources on processing the regulatory fees and issuing refunds than the amount of the regulatory fee payment,” the FCC said. “As our costs now exceed the regulatory fee, we are eliminating this regulatory fee category.” The current vanity call sign regulatory fee is $21.40, the highest in several years. The FCC reported there were 11,500 “payment units” in FY 2014 and estimated that it would collect nearly $246,100. The FCC said it has since had an opportunity to obtain and analyze support concerning the collection of the regulatory fees for Amateur Vanity and GMRS, which the FCC said comprise, on average, more than 20,000 licenses that are newly obtained or renewed, every 10 and 5 years, respectively. The FCC said it would not issue refunds to licensees who paid the regulatory fee prior to its official elimination. This entry was posted in Amateur Radio News and tagged call, callsign, fcc, fee, fees, GMRS, license, vanity on 06/28/2015 by LAREPEATER.ORG. The TRW swap meet located at Northrop Grumman in Redondo Beach will continue to be in Redondo Beach through December 2014. This entry was posted in Amateur Radio News and tagged swap meet, trw, w6trw on 06/25/2015 by LAREPEATER.ORG. On this date in history, June 25, 1951, CBS broadcast the very first commercial color TV program. Unfortunately, nearly no one could watch it on their black-and-white televisions. This first color program was a variety show called, “Premiere.” The show featured such celebrities as Ed Sullivan, Garry Moore, and Arthur Godfrey. Despite early successes with color programming, the adoption to color television was a slow one. In what year did the American public finally start purchasing more color TV sets than black-and-white ones? This entry was posted in Trivia and tagged 2015, trivia, TV on 06/25/2015 by LAREPEATER.ORG. How many times has President Obama visited the Greater Los Angeles area during his presidency including today’s visit? 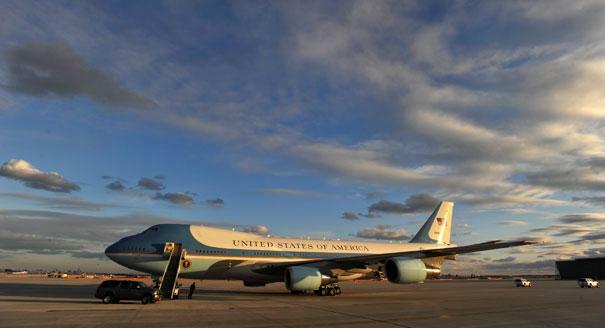 The visit will be Obama’s 22nd to Los Angeles and Orange counties as president. He has attended fundraisers during 18 of his previous 21 visits to Los Angeles and Orange County as president, attending 32 fundraisers in Los Angeles County on those trips, occasionally attending multiple fundraisers during the same visit. Thank you taking part in the net and special thank you to Gary W6NVY for allowing us the use of the repeater. This entry was posted in Trivia and tagged POTUS, President of the United States, trivia on 06/18/2015 by LAREPEATER.ORG. Flag Day will be celebrated on June 14th. It commemorates the adoption of the flag of the United States on that day in 1777. So, in honor of Flag Day, here’s a flag trivia question. How many American Flags are there on the moon? 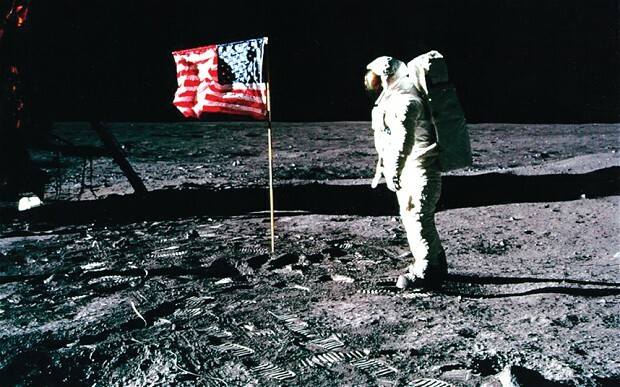 This entry was posted in Trivia and tagged american, flag, flags, moon, United States on 06/11/2015 by N6CIZ.